This boat is a 19’4″ stretched version of Iain Oughtred’s Arctic Tern. She features an enlarged gunter sloop rig with decks and bulkheads fore and aft. 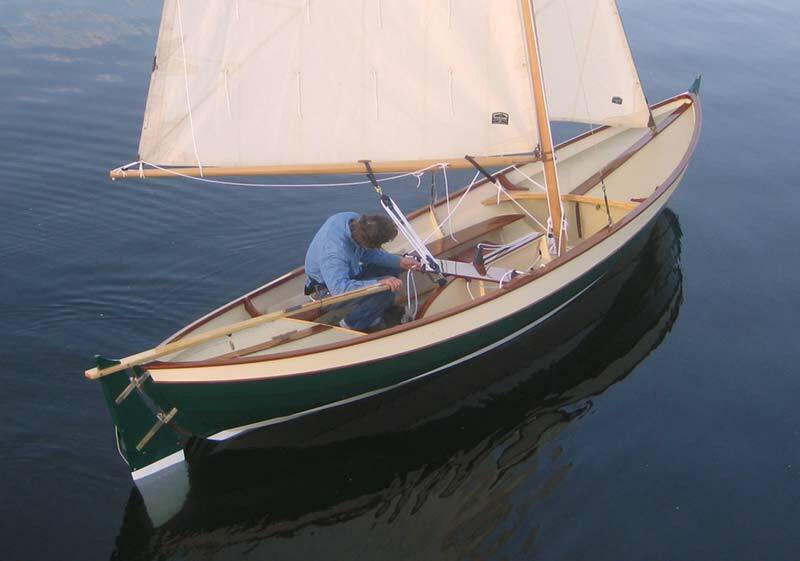 Originally designed at 18’2″” in length, the owner preferred the longer length of the Caledonia Yawl, and the narrower beam of the Arctic Tern. Thus this is a hybrid of the two.